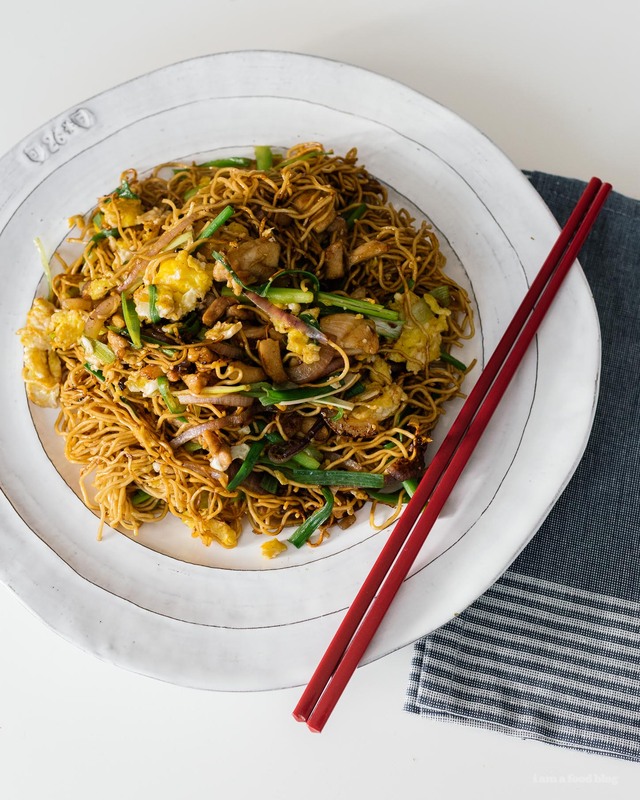 Make this easy 15 minute chicken chow mein – it's faster than takeout and tastier too! The other day Mike and I were starving. Okay, I guess I was the only one was starving because I’m really the only person in this house who gets hangry. Mike’s more like a lion, the kind of dude that can eat a big meal and then is seemingly okay for three days without eating. It’s so annoying! I, on the other hand, feel the need to eat constantly. I feel like I went through three bags of cauliflower gnocchi last week alone. Anyway, hangry + zero leftovers in the fridge pretty much means that I think of delivery. I really wanted to order take out but even that seemed like it would be an insurmountable wait. 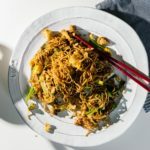 Thankfully we had a bag of noodles in the fridge so I could make my super easy 15 minute chicken chow mein! 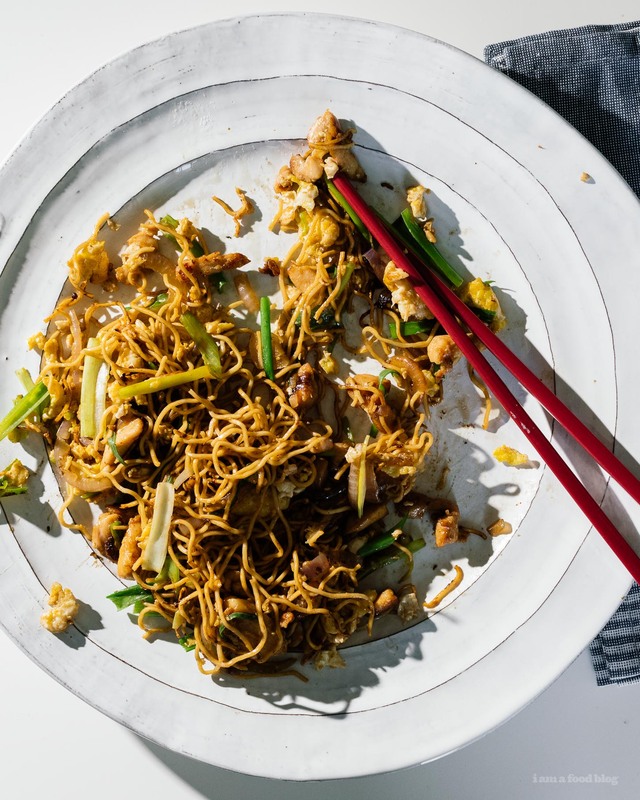 Chow mein is seriously the easiest thing ever to make, especially if you have all the ingredients on hand. 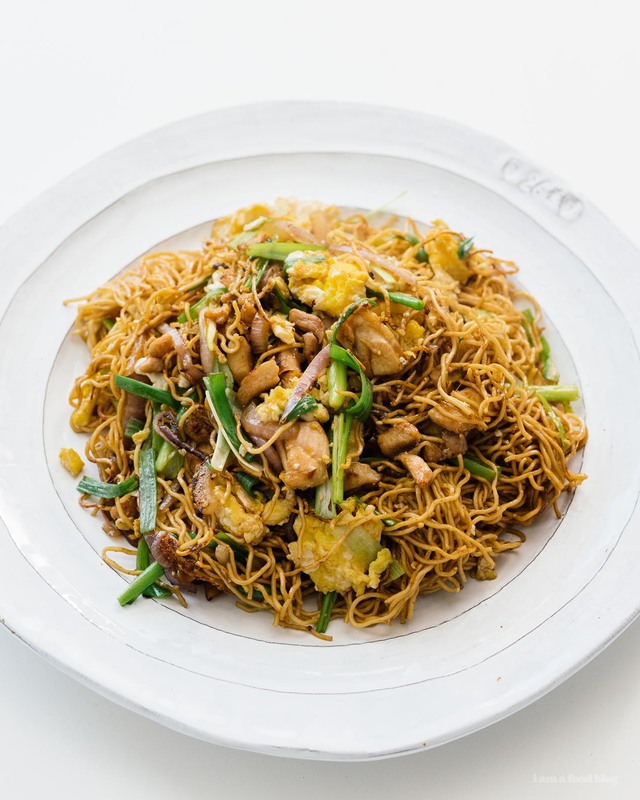 Here’s what I did: soaked the noodles in hot tap water, marinated the chicken, fried the eggs, fried the onions, fried the chicken, added the noodles and fried them, seasoned with soy sauce, added the green onions, then ate. Done and done! Soak the noodles in hot tap water. 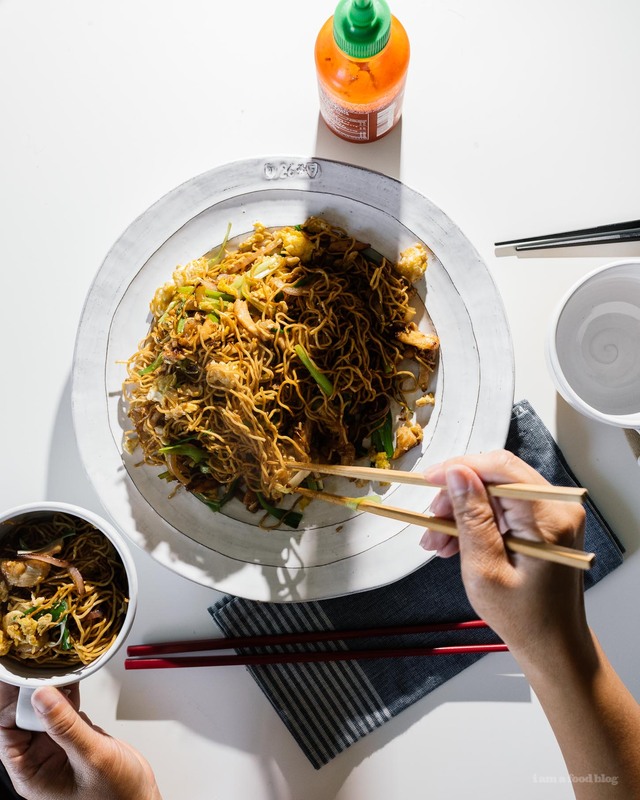 In a small bowl, mix the chicken with the cornstarch, soy sauce, and shaoxing wine. Set aside. Heat up the oil in a wok or frying pan over medium high heat. When hot and shimmery, crack the eggs into the pan and scramble until cooked but still soft. Season with salt and pepper to taste then scoop out the eggs. The pan should still have a bit of oil in it, but if it’s dry, add a touch more. Add the onions and cook, over medium high heat, until slightly soft – you want them to have some bite to them still. Add the chicken, along with the marinade in the bowl and cook, stirring, until brown and cooked through. 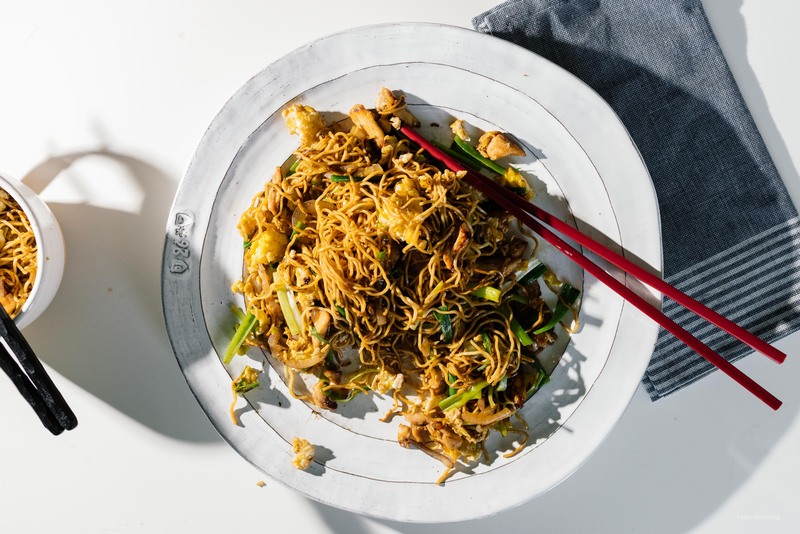 Drain the noodles and add them into the pan and toss everything together. Add the eggs back in, along with the green onions. Add the dark and light soy sauce and toss well, frying. Taste, adjust the seasoning, then enjoy! So inspired from this recipe!! Noodles are my fav. Can’t wait to try this! I’m in love with this recipe watching the yummy pictures. It’ll be tested in my kitchen and that’s must!